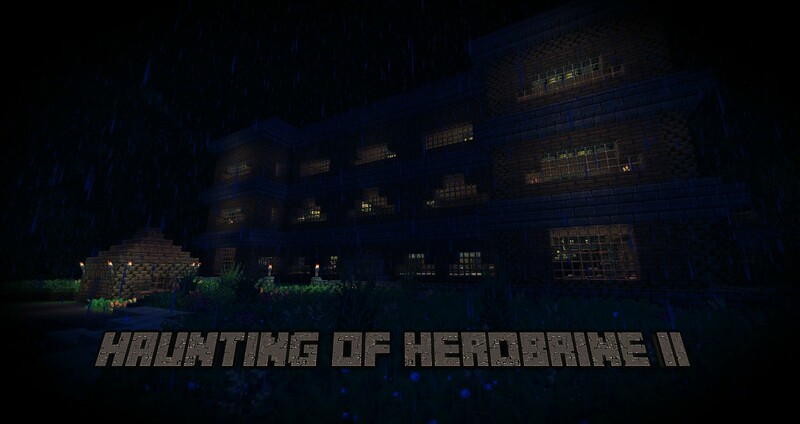 What Is The Haunting of Herobrine? Naturally we decided to make a sequel. However, life got in the way and certain people who will not be named decided to hinder are efforts of making this movie. However, I have promised many times to hundreds of different people that it will be released, so I am back to finish what I started. 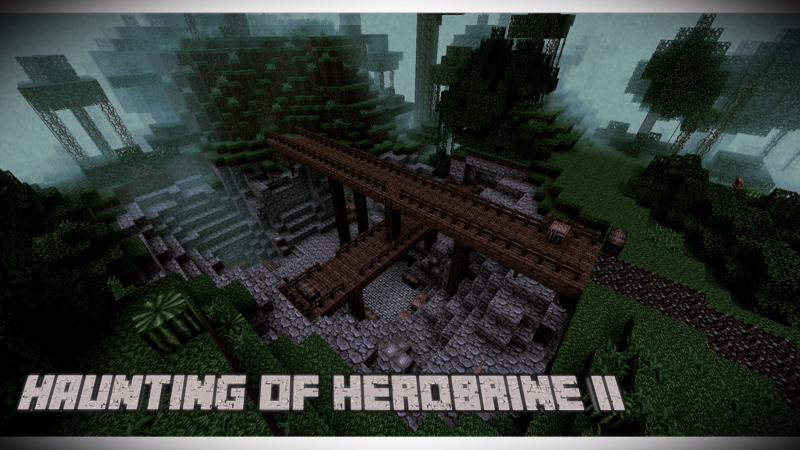 The basic premise of the movies is all about the legend of the infamous ghost of Minecraft, Herobrine. The movies in the series are generally to do with a paranormal investigator undertaking an investigation to uncover the mysteries surrounding this notorious entity. (Similar to paranormal activity). There is a wider, more complex plot and back stories for the characters but that will not be stated here. Although the project is still in its pre-production stages, a large portion of the work is already complete. The story line, plot and back stories are all done. The storyboard is finished and the screenplay is halfway done. The giant sets (Hotel) are also complete (After hours and hours of work). Textures, skins, server, plugins, mods and software is all prepped and ready to use. We're nearly ready to start filming. What Do I Need From The Community? This is going to be a big movie and cant be done with just me and a few of my friends. In order to pull this off I'm appealing to the community for help! There are not many characters in the narrative but we still need voice actors to play them. Below is a list of all of the characters you can audition for. Please pick which characters then fill in the small application below. You must also meet all of the requirements below in order for us to consider you. Don't be afraid if someone in the comments has already applied for the role you want, its not first come first serve, we will judge you all fairly on how well you suit and fit the role. Information: Adrian is a young boy around the age of 12. He is only in the first scene and has a few short lines. If you are a young boy then this would be a good role for you. Information: He is an adult male. Once again, he is only in the first few scenes and only has a few short lines. Information: He is an adult male and is the manager of the hotel. He has a lot of lines especially near the start so you must be confident if you wish to have this role. There is nothing really prominent about his character except hes not quiet so almost anyone can fit this role. Information: John is an adult male and is the main character of HOH II. His is in his late twenties. John is quite down to earth, hes clever/smart, he is some what quiet but does still have many lines. This character shows many different emotions throughout the movie so you must be a good voice actor if you wish to have this part. Information: The guest only has a few lines here and there. However, the guest has a shadow of mystery around him and is rather enigmatic. He makes you feel uncomfortable when he talks. Even though his part is small he might be one of the hardest characters to play because of this. Information: Once again he only has a few lines here and there throughout the movie. If you can do a good old man voice without sounding funny then you've got the part. Its obvious but needs to be said, you must be good at voice acting. I'm not saying unless you have been in 50 films already you wont get the part I'm just saying you must be able to make what you say sound real rather then it sounding like your reading something off a piece of paper. You really need to be able to have expression and emotion in your voice especially for the main roles. If you wish to have a part in this you have to be serious. The odd joke or two is fine but we cant have you if you don't take the role seriously. I really don't want to restrict who can apply but all of the characters cannot have strong foreign accents. I'm not trying to stop people from other country's applying but for the context of the film, other accents wont really work. UK, USA, Australia, Canada are all ok. If your not from any of those countries, as long as your accent isn't too strong you can still apply. There is no age boundary, as long as your mature and follow the rules above you've got a good chance at getting the part. After we have reviewed your application and think you may be good for the part I will add you on Skype and we will talk about the role a bit more. You will then get an extract from the script and if I think your perfect for the role I will put you on a list. After a few weeks we will close the application window and make a final decision on if you will get the part. Good luck! Roles in this movie are voluntary and for fun, however, in order to reward you for your help I am happy to advertise/give credit to your YouTube channel, website, blog or any other thing you want. This will be through mediums such as the credits and description of the final movie on YouTube, links on the HOH II Facebook page and my Skype Status as well as this post. There may be money involved. MAY. Please take this with a grain of salt but if this movie gets as big as the first one then there is the window for the slight possibility of gaining money from the film. I am making no promises and even if we do get some income from the movie it will most likely be very small. But if we do get any money we will make sure every role will get what they deserve. Please help support the film by spreading the word. If you know anyone who may be interested in getting a role please send them the link to this thread. Lastly I just want to say a big thank you to everyone who could be bothered to read this whole thread and a huge thank you to everyone who wants to apply. Without you guys this project will never happen. According to the forum rules, I must state that Herobrine is not real, this is a movie, not a real account of events, so obviously Herobrine will be an actor. Country you live in:[/b] Canada eh? Why do you want this role? :[/b] I would like this role because I saw this video a while back, and thought it was great. It was not on you channel, but I have now liked your original version and subscribed to you. I feel that I would be good at doing an unsettling voice. Sample of your voice: [/b](This can be a YouTube video, mp3 file, anything, my email is below) My youtube channel has my voice in nearly every video, but that's not me acting. I made a sample for the Hotel Guest role here. Why should I pick you? : [/b]I think you should pick me because I have had experience voice acting, and I can do a good unsettling voice. I hope you consider me for the role. Thanks for the replies so far (We have had a few via other social media) The application window is still open, we still need more people and many roles are still free! Please, if you think this is for you then apply, if not, please share this page to others who you think will be interested. The window of opportunity will be closing in the next 2-3 weeks. Good luck to everyone! ATTENTION EVERYONE - Thanks for all the applications so far. This is the last call for any people who want to be a part of this movie. The official application window will CLOSE at midnight on Monday the 7th. After that we will decide which people will get the parts. REMEMBER, even though we have had many people apply, it is not first come first serve, we will review everyone before making a final decision. Get applying and GOOD LUCK! Why do you want this role? : Those roles are labeled as "Big" and I'm hoping to get either one of those roles. Experience: I do have experience in directing, editing, voicing, body acting, and recording. Editing and Recording are my 2 strong points. Why should I pick you? : I should be picked because I meet all the requirements, I have a great deal of experience and you are accepting applications. I really want to take part of this project, as it seems to be quite enjoyable to voice act for. Even if I dont get the role, I'd still be excited to see how this project goes! A HUGE THANK YOU TO EVERYONE WHO APPLIED. We have had a massive turn out (apps came through via other social media too!) and is great to see the community being so enthusiastic towards this project. The application window is OFFICIALLY CLOSED AS OF NOW. This page will be updated though to show info on the movie as it is being made. A new thread will be created however to show case the finished movie. Throughout this week and next week I will talk closely with everyone who applied and sort out who get what roles. Good luck to everyone!